As archaeologist Howard Carter peered through a crack into Tutankhamun’s tomb his benefactor Lord Carnarvon asked “can you see anything?” “Yes,” Carter replied famously; “wonderful things.” Playing The Unity’s self-titled debut for the first time will give you a feel for how Carter must have felt, because ‘The Unity’ is a wholly diverse collection of glittering treasures, a true discovery for those who may be seeking something powerful, melodic and very, very exciting. The band itself is the brainchild of two members of Gamma Ray, drummer Michael Ehré and guitarist Henjo Richter, who apparently realised that they had more than just the day job in common. Hooking up with Italian vocalist Gianba Manenti, guitarist Stef E, bassist Jogi Sweers and keyboard player Sascha Onnen (all of whom had worked with Ehré in his band Love.Might.Kill.) The Unity have taken some eighteen months to pull their first album together and in taking their time have produced an album of exquisite craftsmanship. The material on offer covers a variety of bases, without either spreading itself thin or – perhaps more importantly – losing its collective identity. ‘Redeemer’, for example, pulls a leaf out of the latter-day Rainbow songbook while album opener ‘Rise And Fall’ is as power metal as you can handle. ‘Super Distortion’ / ‘Killer Instinct’ is a heavy coupling with a progressive metal bent and a don’t-mess-with-me insolence, while ‘God Of Temptation’ maybe nods a little in the direction of Black Sabbath. ‘Firesign’ seemingly sits on the more commercial side of the fence, although hares off impudently with a cracking solo, and ‘Always Just You’ puts the power – make that POWER – in power ballad. And to cap it all comes the terribly infectious and stunningly opulent ‘No More Lies’; with its catchy chorus and hacking opening riff, this is one of those songs that, once heard, you can’t stop singing for days. This cut is worth the price of the album itself. 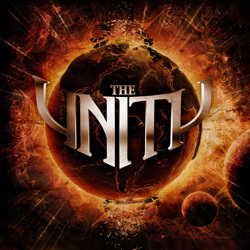 The Unity are a band to keep your eye on, and ‘The Unity’ is almost certain to be in critics’ and fans' end of year Top Tens around the world when things are tallied up in December. It is a truly great album. Trust me on this.